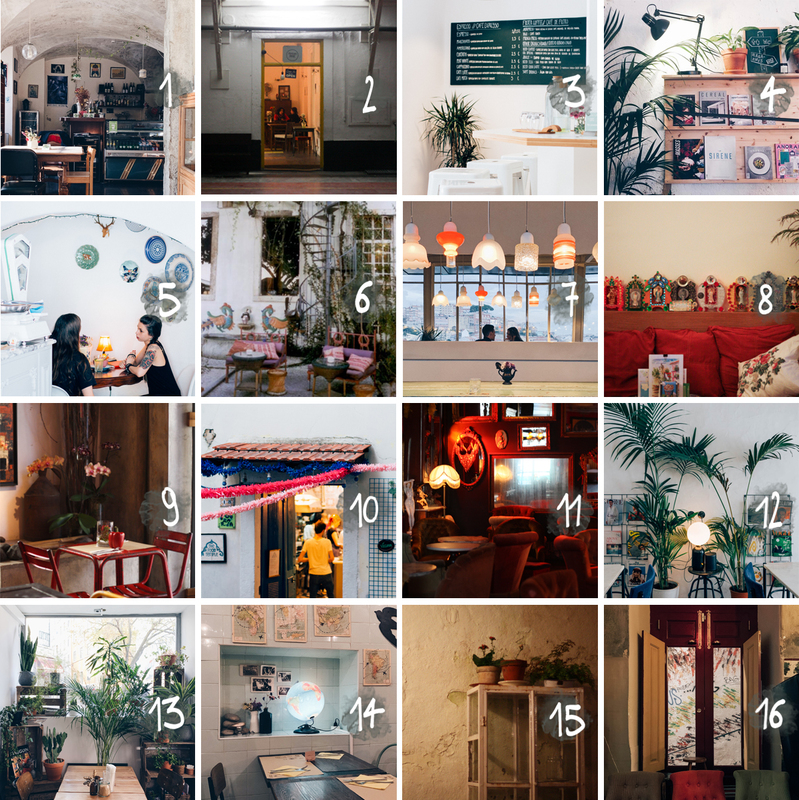 After living in this city for five months and countless city trips to Portugal’s capital ever since, I had to compile all my favorite hangouts in one handy city guide. So, if you’re wondering how a semi-local twenty-something spends her time in Lisbon, this is it! At the end of this post you can find a google map with all my tips, that you can open on your smart phone while you’re traveling. On that map, you’ll find even more tips that I’ve collected from my most trustworthy sources, and intend to try out myself in the future. Have fun! Elevador de santa Justa, although I recommend to just walk on the bridge towards the elevator when you come from Largo do Carmo to enjoy the view and not pay for the ride down. It’s a tourist trap! Eléctrico 28, or a walk around the old part of the city to see the beautiful facades, the colorful tiles and the amazing street art. Miradouro da Senhora do Monte for the best view over the city. Come here during sunset and bring a bottle of wine and a picnick! Out Jazz for summer sundays spent picnicking in a lisbon parc accompanied by live jazz music, followed by a dance party with great dj’s. A loja da cerâmica, for stunning handmade ceramics. rua de são cristóvão 7. This lovely airbnb for sleeping inside the most beautiful indoor jungle. Jaaaaaaaa! Zalig! Deze wordt serieus geconsulteerd, moest ik nog eens naar Lissabon gaan :). Oh, kei leuk!! Moet ik zeker onthouden als ik eens ga! Zalig overzicht! Ik ga hopelijk volgende zomer naar Portugal, we hebben alleszins met enkele vriendinnen al gesproken over een roadtrip. Moest het er van komen, dan zal ik dit lijstje zéker nog eens opzoeken! Ah wat een fijne plekjes. Ik hoop in de lente er naar toe te gaan om van de eerste zonnestralen te genieten omdat de winter hier in Bergen al een maand geleden is begonnen en nog heel erg lang duurt voordat het in Nederland weer warm wordt..
Als ik ga, dan zeker nog even door naar jou tips kijken. Het ziet er fantastisch uit! Wat een fijne tips! Een reisje naar Lissabon staat nog niet op de agenda maar ik onthoud je post! You definitely have to add Praia da Ursa! Most beautiful beach in Lx! Thanks for the tip Tobias, I’ll check it myself next time I’m visiting! Haha I’ve changed it, thanks for telling me! Fantastic! Always always welcome! Cheers and be back soon! It´s a shame that Mãe d´Água, Jardim das Amoreiras, never figures anywhere as culture or chilling place. Or is it a blessing? Nice picks! but it’s missing the HotClub! the oldest jazz club in Europe! It’s located in Praça da Alegria, near the famous Avenida da Liberdade. You must have been at Oasis Hostel around the same time I was, as I recognize the Aussie playing the guitar and Evan the staff member who went to college in my hometown halfway around the world. AMAZING list! Lisbon is full of hidden gems which you’ll hardly find if you don’t have local connections. If you’re visiting Lisbon and Portugal, I recommend using services like http://www.WiserGo.com which connects you with Portuguese experts, who can help you decide what do to, book everything and provide customer support while you’re in Portugal. Since they are local agents, they know the ins-and-outs of everything and you get to experience the country as a local! Service is free and the testimonials in their homepage are pretty positive. Being born and raised in Lisbon I think your choices are amazing! I would only add Champalimaud foundation near the riverside as a great place to walk, chill, enjoy the view, photograph or simply admire the sunset. It is perfect! You know the city better than me.. And l live here. I just love your guide! Congratulations! Your guide is the best to my city I’ve ever seen. You clearly know Lisboa very well, in some cases better than myself, and I live here :-) Thank you for sharing these valuable tips about my beautiful city. I wish you all the best. Jeases, a LOT of great tips here! Please feel free to post on Lisbonforever as well! We are a start up who offers companies and privat persons to share their Lisbon through us with the World. Oh thanks! I really enjoy hearing that and yes, Lisbon is a-ma-zing! Thank you so much! I’m sure many people will find it very helpful! Thanks to both the author of this post and the creator of the Foursquare list! 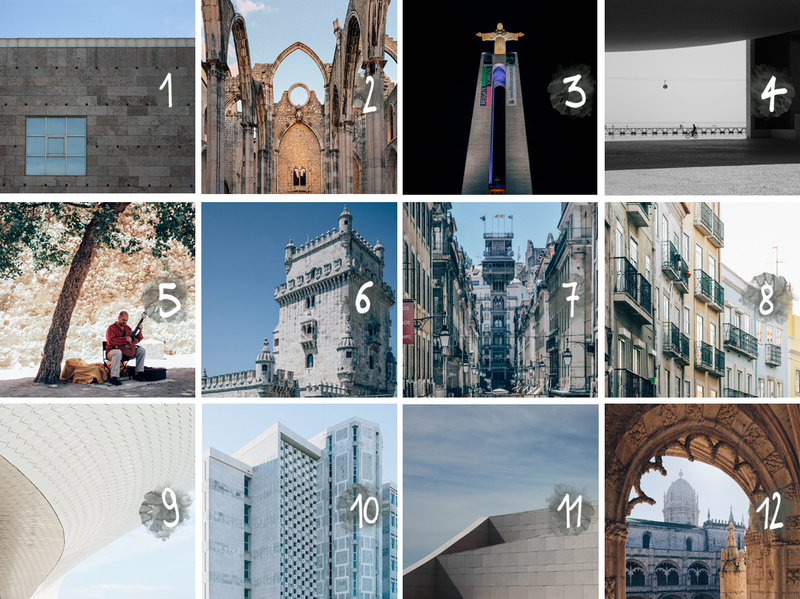 Great guide, I’ve spent almost one year and half in Lisbon (Erasmus and than internship and than girlfriend…), and I do agree with all your choices, something is still missing but this means that Lisbon has so many hidden gems to visit… Are you dutch? Now you have to meet oporto!!! Hello, thanks. What is the easiest way to go to the Christo Ray. We are sataying hotel Vila Gale Operaa. You can take the boat at cais do sodre to the other side of the Tejo, but I’m sure you can ask the staff of your hotel and they’d be happy to show you how to get there! I’m from Lisbon and I can say this a very very very complete overview of the city, agreed with everything mentioned on this post. You made me miss even more my beautiful Lisbon!